I haven't tried any eyeshadows from Lorac yet but man those swatches look beautiful! I love that this is an all matte palette as well, I'm going to stop into Kohls this week now and see if they have this because there's so many people on my Christmas list that would love a palette like this :) Nice and neutral for everyday. I actually haven't heard about these before. Good to hear it's another positive, the colours look really beautiful. I love this palette is the one I take to my travels and I also love the contour palette addicted. But I have to agree about this eyeshadow palette the packaging get so dirty and is hard to clean. Linen and mayyyybe bare are my perfect fit. I've used white lipstick for concealer and use this old brand powder (my great grandma used it, so 'old' like when trains were made). Only powder light enough...I'm so pale, but this pallet looks natural enough for myself. Also, if it's no powdery mess I'm in! Ooh I didn't think burgundy would be an option, but it's so rich and pretty! The colours are amazing, the packaging… well they could work on it! Hi Kim! I don't know this brand but I see have nice pigmentation! This colors are perfect for day by day, kisses! Like you, I have yet to try anything from Lorac but have read so many good things about the brand. I don't need another palette but I might pick this one up because the colours and pigmentation is looking really good! I've actually been intrigued by Lorac for sometime. I have the UD Naked palette, which is why I have not purchased this palette, but it definitely looks so good. I've only heard positive things. This is a gorgeous palette. I will have to try this one! I have the first Lorac pro palette and I love it. It's one of my favorites and one of the best quality shadows I've tried! I've actually thought about fetus this pro matte one that you're showing Kim! It's so pretty and I love matte shadows. I've also wanted the pro to go, that comes with a few shadows and the blush and bronzer in it! Lorac is a great brand from what I've tried from them! I love those warm shades! I only have the Lorac Pro Palette, but I really love it! Lorac is a pretty good brand and I noticed that eyeshadow does stain the packaging. After I use my palette, I'm wiping eyeshadow off the case lol. I've heard good reviews on this palette! 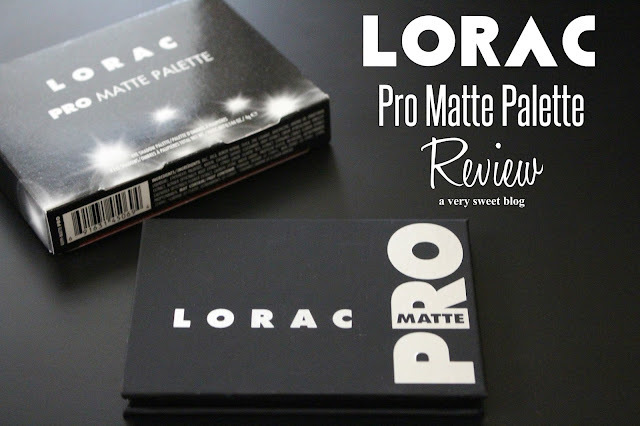 I have the Lorac Pro palette (original) and love it and I swear by their eye shadow primer it is the only one that truly works for me! 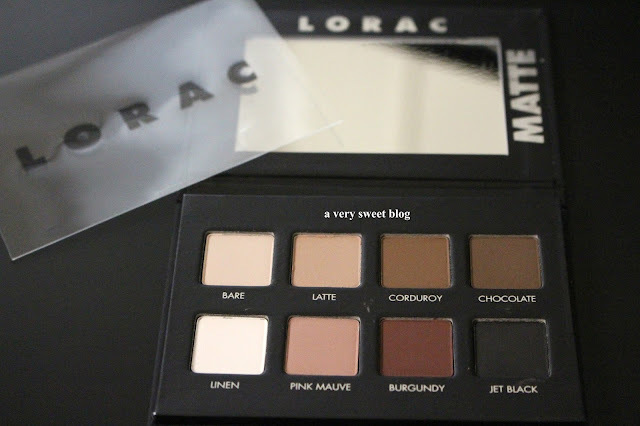 i havent tried any of the shadows and palettes from Lorac, as I too have been intimiated by their brand - and whenever i go into sephora theres so many brands i dont know how to choose one of the other, so i tend to gravitate towards the ones I know! I've gotten samples from sephora but never used them, haha! I cant wait to see some looks with them, and i really like the burgundy swatch!! have a great weekend kim! I wish we could get Lorac in the UK, their eyeshadows look amazing. Great review. Great review! This palette looks really nice. I love neutral shades and I feel the UD palettes are too shimmery for me. These look perfect! Me too, I haven't heard of this brand Kim. But I don't think it's for me, I like shimmery eye shadows. I don't have a fear of eyeshadows per se, I just hate having coloured eyes! I actually own a few brights myself but have never used them. They sit there in their compacts looking pretty, waiting for me to get some courage to wear them out. I love these neutral shades, perfect starting point into trying to get yourself into the eyeshadow groove. These are all so pretty! You have the best taste in makeup. I hope that you have a wonderful Turkey Day! 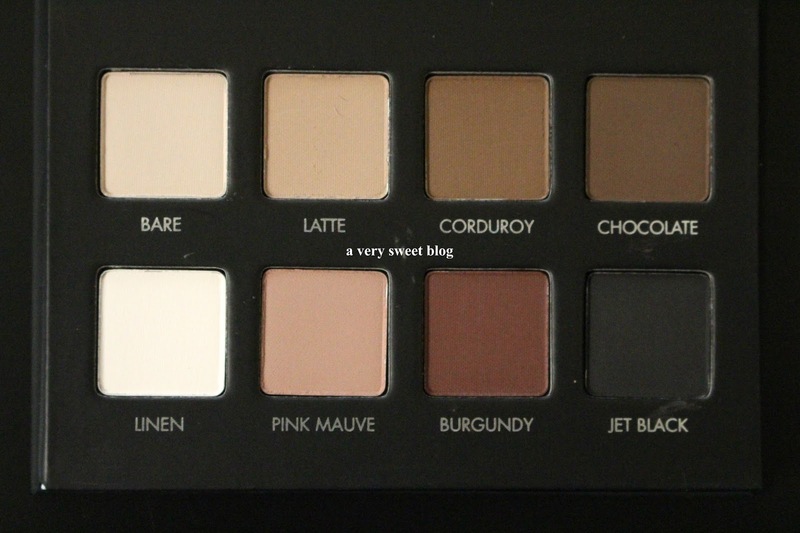 This is a great palette if you're somewhat new to using eyeshadows. I have Unzipped and the Unzipped Gold palettes and love them. They're definitely more adventurous, especially the Gold, but they're still neutral shades.